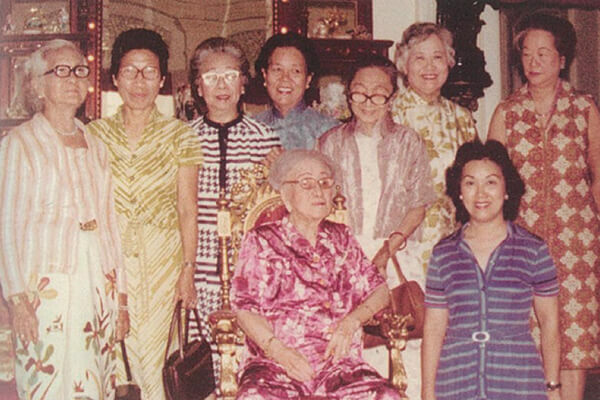 In the early years of the 20th century, well-born Chinese women in Singapore were rarely seen outside of their homes. Their roles were primarily that of daughter, then wife and mother. Women were rarely mentioned in the media because they simply had no public presence. Tan Teck Neo, better known as Mrs Lee Choon Guan, played a key role in changing all of this. In 1915, she proposed that Chinese women set up an association and organise activities that would get them out of their homes and that would contribute in some way to the community. Together with some 20 other women, Teck Neo set up the Chinese Ladies Association (CLA). Their declared aim was to bring about ‘the general improvement of young Chinese ladies’. They organised classes in sewing, cooking, and music at Magenta Cottage, a property owned by Teck Neo’s father-in-law, and raised money for charitable causes. Their first project in 1916 was to raise $6,000 for the purchase of a fighter plane for the British during World War 1. Another project that year saw them running a tea stall to raise money for the Red Cross and St John’s Ambulance. A newspaper report noted that it was ‘the first time that Chinese ladies have come forward to assist in a public charity or other function of that kind’. Teck Neo was born in 1877, the second daughter of Tan Keong Saik, a prominent businessman from Malacca. Unlike most Chinese fathers of the time, he believed girls should be educated. He arranged in 1885 for Methodist missionary Sophia Blackmore, who would a few years later found Methodist Girls’ School, to come to his home to tutor Teck Neo and her two sisters in English, mathematics and history. Teck Neo was a quick learner who also imbibed her father’s forward-thinking, liberal values. In 1900, at the relatively advanced age of 23, she married Lee Choon Guan, a widower and highly successful businessman who was a leading figure in Singapore society. He was a philanthropist who donated generously to education and various charities. He and Teck Neo entertained lavishly, and they also travelled extensively. When the First World War broke out, they were in Belgium. They returned to England, where Teck Neo volunteered with the Red Cross and tended to wounded soldiers and civilians. 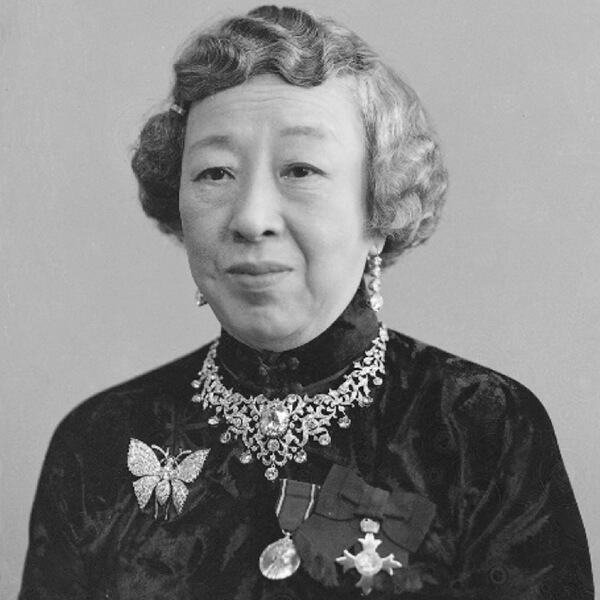 For her charitable achievements and contributions to the British Red Cross during the First World War, she was made a Member of the Order of the British Empire (MBE) in 1919 – the first Chinese woman in Singapore to win the award. It was not the first time that she was written about by the media. Her charity events and parties, as well as her many trips abroad, were routinely reported on. One researcher estimated that her name appeared in the newspapers more than 2,000 times. Teck Neo set up the Mrs Lee Choon Guan Trust Fund to support charitable efforts and promoted female education by awarding numerous scholarships to students of the Singapore Chinese Girls’ School. When she learnt that there was a great need for more midwives in Singapore, she started awarding scholarships for midwifery training. She donated $5,000 to the building fund of the St. Andrew’s Hospital for Women and Children. She was a patron of the Po Leung Kuk, or the Society for the Protection of Women and Children, and not only funded their activities but invited girls from the home to visit Mandalay Villa, her seaside home. She was also a board member of the Singapore Chinese Girls School and the Children’s Aid Society. Teck Neo was a key member of Singapore’s high society for many decades. Her parties were legendary, and she could out-drink and out-dance most, if not all, of her guests. She continued dancing into her nineties. 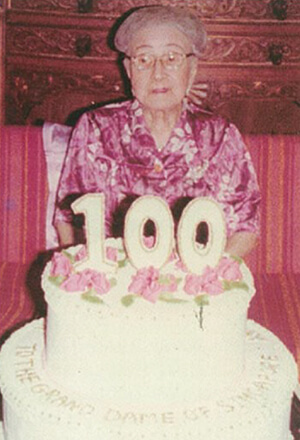 In 1978, she celebrated – as she had vowed she would – her 100th birthday, thoroughly enjoying every moment of it. Two months later, she died. Her legacy was the opening of doors for women in Singapore. Advertisement (1978, March 1). The Straits Times.